Did you hear all this buzz about sunflower lecithin in the supplement industry? If so, then, sunflower lecithin benefits are something that you need to look into! The word ‘Lecithin’ finds its roots in the Greek word ‘Lekithos’ which means egg yolk. This word is now used when referring to the yellowish fatty substance found naturally in animal fat and plant tissue. I will go through all you need to know about sunflower lecithin benefits, and more! Quick Introduction: What is Sunflower Lecithin? Sunflower Lecithin is a popular dietary supplement. It improves cholesterol levels and the functioning of the circulatory system as well as the nervous system. Lecithin, in itself, is a vital substance found in our bodies and is produced naturally by the body’s major organs such as the liver, kidney, and heart. It prevents the membranes of our cells from becoming hard. Even though our body produces lecithin, you can take it as supplement such as Sunflower Lecithin to boost its effects. Dehydrated sunflower is separated into three parts—gum, oil, and solids. Sunflower Lecithin comes from the gum and is processed via a cold press machine like how olive oil is extracted. This process also reduces the oxidation of the lecithin. Sunflower Lecithin also has a more favorable phospholipid profile which helps process fats to support cell membranes. Otherwise, It only happens at birth and during childhood and decreases as we age. This also helps decrease age-related decline. Now, Let’s jump to what made you click this article, “The Benefits”. Each nerve cell or neuron is covered with a protective layer of fat known as the myelin sheath which helps insulate the current as well as increase the speed of the current passing through. So, mostly, your system depends upon fatty acids for better functioning. In case the myelin sheath damages, the neuron won’t be able to transmit the message or signal to the brain as efficiently as before. Fatty acids present in Sunflower Lecithin help in maintaining the myelin sheath so that the nerve impulses can efficiently travel to the brain. Another good thing about the Sunflower Lecithin is that the phospholipids and fatty acids help strengthen the brain along with the nervous system. Essentially, Sunflower Lecithin helps repair and strengthen your brain as well as nerve cells without any problems. Even though this is crucial for people of all ages, those carrying the gene to degenerative conditions like Alzheimer’s disease and Dementia are more likely to get benefits. In fact, it delays the onset of several degenerative conditions! Sunflower Lecithin contains linoleic acid which emulsifies as well as breaks down fats, even those available in the bloodstream! Adding even the smallest amount of sunflower lecithin into your diet can easily help in decreasing your cholesterol levels. Sunflower Lecithin removes the excess triglycerides, is free cholesterol as well as other fats from your blood. This means reduced LDL levels! This can easily reduce the risk of heart disease and improve your blood vessels’ health. 4. Promotes Bone and Joint health and makes you feel younger. Just like the joint on your door needs lubrication to work efficiently, so does those in your body. While you can oil the hinges of your door, you can’t apply anything to your elbows or knees, right? The fatty acids present in Sunflower Lecithin are rich in choline which is used by almost every cell in the body and is a key component of cell membrane. It also helps rebuild bone tissue and protect it. According to the Lipids in Health and Disease journal, Lecithin is a part of the viscous fluid that lubricates the joints for fluid movements. 5. It makes your liver healthy. In fatty liver disease, excess fat does not eliminates via the bowels and liver isn’t able to process fat. Instead, it begins to absorb the fat. This disease in nonalcoholics is likely to cause type 2 diabetes, cirrhosis, and liver cancer. In a study published in the ScienceDaily, sunflower lecithin contains phospholipids which help the liver clear extra fats efficiently and help the body maintain ideal blood glucose levels. Antioxidants play a key role in keeping us healthy, and Sunflower lecithin contains one of the most powerful antioxidants named phosphatidylcholine. Having an abundance of antioxidants in your system helps in preventing cellular damage due to oxidative stress. This damage can cause a number of illnesses including cancer and heart diseases. Oxidative stress also causes premature aging externally as well as internally. So, having about 500 mg of Sunflower lecithin benefits your body and will help retain the youthful, radiant glow. As I have mentioned before, the linoleic acid present in sunflower lecithin helps break excess fats accumulated in the body such as triglycerides and cholesterol. When the levels of cholesterol and triglycerides elevate in the human body, they go to the arterial walls which leads to arteriosclerosis. People suffering from arteriosclerosis have thickened arteries which leads to them having high blood pressure. It also increases their chances of having a stroke or heart attack. Taking the recommended daily intake of Sunflower lecithin will gradually help you decrease your blood pressure and help in unclogging the arteries. 8. Helps Heal Wounds More Quickly! Since sunflower lecithin is high in linoleic acid among other essential fatty acids, it helps speed the release of cytokines up. These cytokines are inflammatory transmitters which are present in the wounded parts of the body. Applying sunflower lecithin directly to minor cuts, scabs, or bruises will help it heal more quickly and help with the pain as well. This is something that women with hormonal issues, such as PCOS will benefit from. While soy lecithin contains phytoestrogens, sunflower lecithin is free of it. Phytoestrogens don’t have aversive effects for just women. This can cause people of both sexes to produce estrogen excessively. Which leads to metabolic problems such as breast growth, weight gain, early menopause, and sexual dysfunction. Excessive intake of phytoestrogens is a major cause for autoimmune disorder of the thyroid and adrenal glands. While you should always talk to your doctor before you take a supplement when breastfeeding, some people recommend using sunflower lecithin to prevent the recurrence of plugged milk ducts in breastfeeding moms. According to the Canadian Breastfeeding Foundation, a dose of 1,200 mg is needed four times a day to enjoy this benefit. Experts believe that sunflower lecithin decreases the viscosity of breast milk which decreases the likelihood of it clogging your milk ducts. Keep in mind that this isn’t a treatment. You can apply warm compress, massage the area, drain the breast well, or pump extra to treat a clogged duct. Sunflower lecithin was tested on people that suffered from ulcerative colitis to see its effects on digestion and the results came out to be favorable. Sunflower lecithin has emulsifying properties which cause a chain of reactions. Resulting in improvement of the mucus present in your intestines. Which helps in making the digestive process a bit easier as well as protecting the delicate lining of the digestive system. Lecithin’s emulsifying property contributes to a chain reaction that improves the mucus in your intestine, making the digestive process easier and protecting the delicate lining of your delicate. It is also effective for people suffering from irritable bowel syndrome, or other conditions. Did you know that lecithin is a popular ingredient in your skincare products? Used as an emollient to help make the skin feel smooth and restoring hydration, sunflower lecithin can help cure acne and eczema. Sunflower lecithin capsules can help improve your skin and tone it. However, there is only a little evidence of this available till date. How to Include Sunflower Lecithin in Your Diet. Including Sunflower Lecithin isn’t a difficult task. You can use it as an alternative to other lecithins in baking and cooking and can even use it as a supplement in your diet if you don’t like the taste in cooked food. It is always a good idea to talk to your doctor before taking any dosage as he knows what’s best for you. While Sunflower Lecithin is generally safe for humans to consume, very negligible amount of people reported minor allergies. I wanted to go through the possible common side effects of Sunflower Lecithin consumption. In case of an allergic reaction, emergency medical attention may be necessary. The symptoms usually go away as your body adapts to the supplement. However, if the side effects are severe, you can try to lower your daily dose and work your way up to the recommended intake. This increases tolerance. If you are a breastfeeding mummy or are pregnant, it is best if you consult a doctor before you start taking sunflower lecithin or any other supplements for that matter. Sunflower Lecithin does not interact with any other vitamins or drugs but, asking your doctor or pharmacist doesn’t hurt either! Final Words: All You Need to Know About Sunflower Lecithin. Sunflower lecithin is extracted from the sunflower seeds. It is a popular dietary supplement. It helps in improving cholesterol levels, functioning of the circulatory and the nervous system! Soy and Sunflower lecithin are two of the most commonly available on the market. 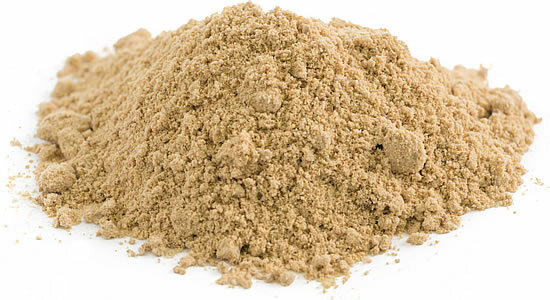 Sunflower Lecithin is also available in powder, tablet, liquid, and granular forms. 500 mg per day is recommended for women and 600 mg per day is recommended for men. However, some people are allergic to sunflower lecithin, and common reactions include loss of appetite, mild nausea, loose stools, etc. I hope that this blog post answered all of your questions about sunflower lecithin benefits. If you still have any questions, let me know in the comments section, and I will get back to you as soon as possible.